Sheila is a Registered Yoga Teacher (RYT200) through SmartFlow Yoga under Annie Carpenter and RYT500 through Shanti Yoga. She is also a Reiki Master, Aromatherapist, and certified in Yoga for All and Expressive Yoga Dance. Besides taking trainings with Annie Carpenter, she has also taken workshops with master teachers, such as Shiva Rea, Rodney Yee, Seane Corn, Aadil Palkhivala, and Dharma Mittra. Sheila has been practicing yoga for over 20 years. For her yoga is a way of life, not just on the mat but also off of it. 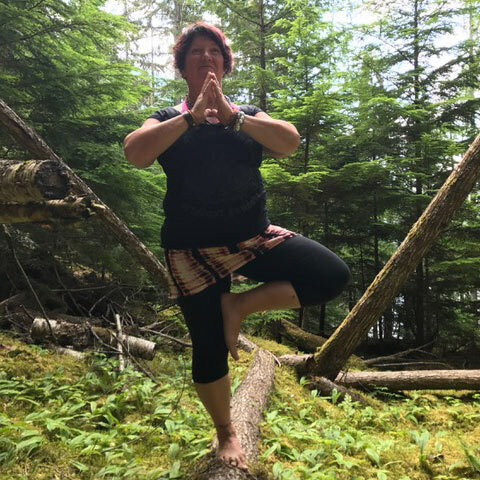 She believes there is no proverbial “yoga body” but rather that yoga is for “every body” regardless of age, size, gender, or physical ability. It is a dance between breath and movement that allows the individual to bring these two things together in harmony. With proper alignment, modifications, and props every body and everybody can move into that “perfect” pose.